It’s hard to argue that a downhill ski vacation is a budget family holiday. In the grand scheme of things, it isn’t. But if you feel a need to ski, there are some options that are much kinder on the pocketbook than others. Today’s blog post is about Kids’ Week (aka Children’s Festival) at Sugarloaf. Proceed cautiously because Sugarloaf, in general, and Kids’ Week, in particular, are addictive. Know that if you decide to go in January 2016, you’ll be making the annual trek ad infinitum. Kids’ Week is an annual promotion that takes place around the 2nd week of January. Arrivals are on Sunday. From there, you can choose to stay 3, 4, or 5 nights. The 5 night option offers the best value for money. 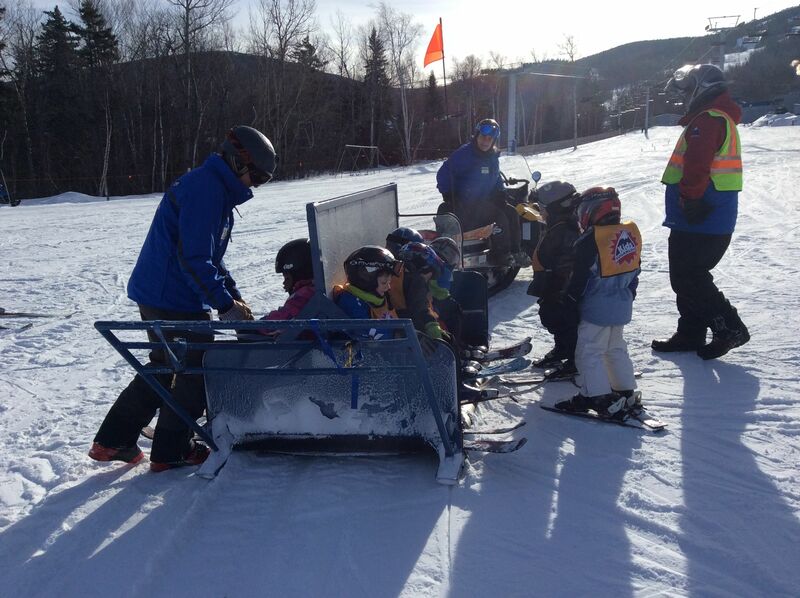 During Kids’ Week, children 14 and under receive FREE lift tickets, rentals, ski school instruction and lunch. They can choose to ski or snowboard and can attend ski school for half or full days. The holiday is priced according to the accommodation selected and the number of adult lift tickets/rentals required. Because of all the various choices, you have to call Sugarloaf directly and speak with an agent to get a quote. Call 1-800-THE-LOAF. Half of the cost of the vacation is due immediately upon booking and the remainder is due 2 weeks before Kids’ Week begins. 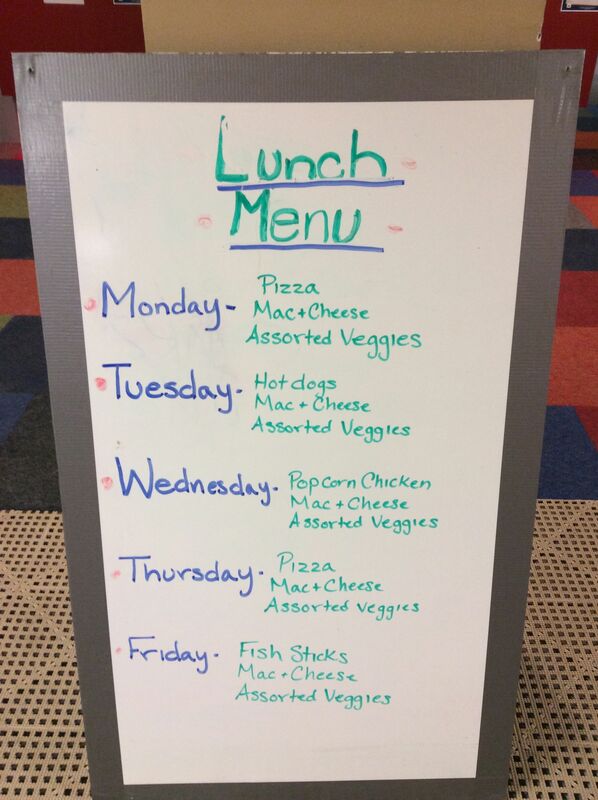 We have been coming to Kids’ Week for years now and it isn’t the amazing deal it used to be. In part because Sugarloaf has increased it’s prices and partly because our Canadian dollar is taking a beating these days. For us, we also now have a child over 14 who counts as an adult. Next year we’ll have two. Boo hoo! Your kids will be eating nonsense for lunch everyday. They’ll need a healthy, low-sodium dinner. This year we paid $2306.00 US for a 5 night, 5 day ski holiday. That works out to roughly $460/day. For the Canucks out there, we paid about $2616 Cdn or about $525/day. 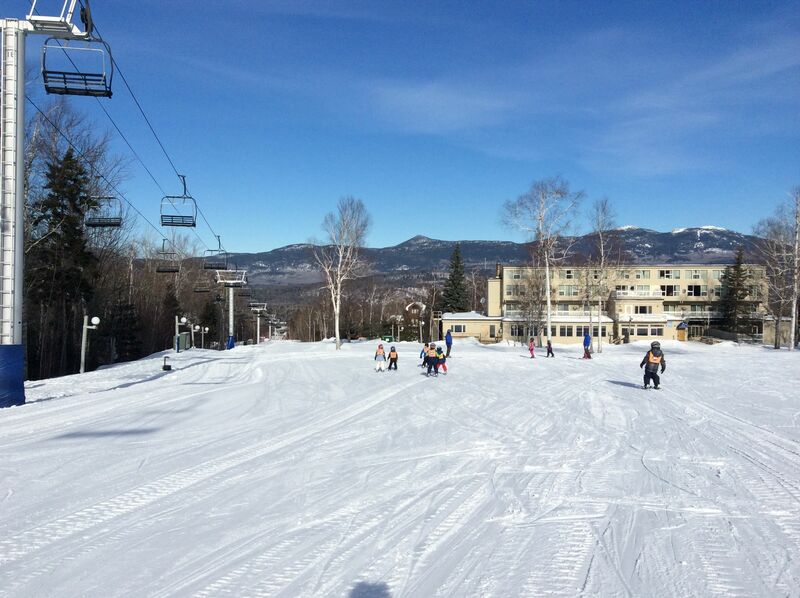 Sugarloaf is a big hill – roughly the same as Mont Tremblant. Unlike Tremblant, though, it isn’t more about the fancy gear you’re wearing than about the powder. Sorry Tremblant but if the $50 Icebreaker cap fits, wear it. 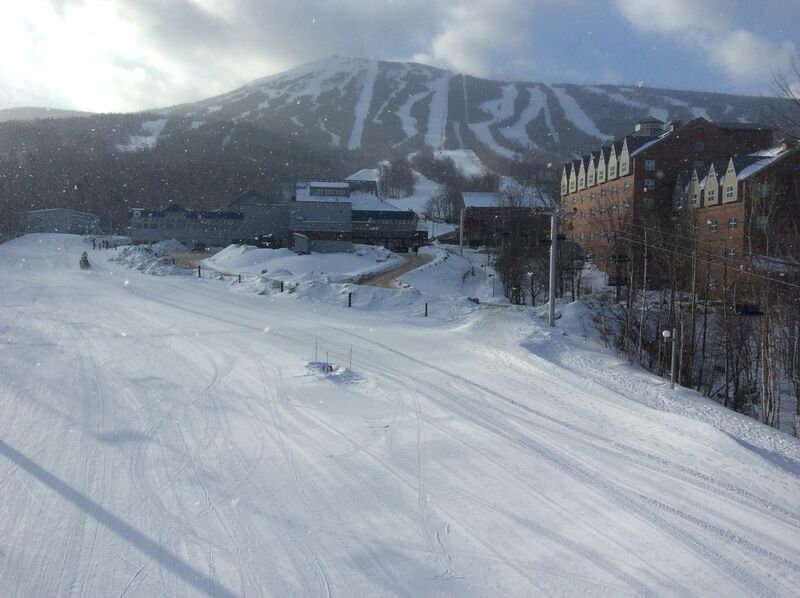 At Sugarloaf, powder is pronounced “powdah” and they sure are obsessed with it. 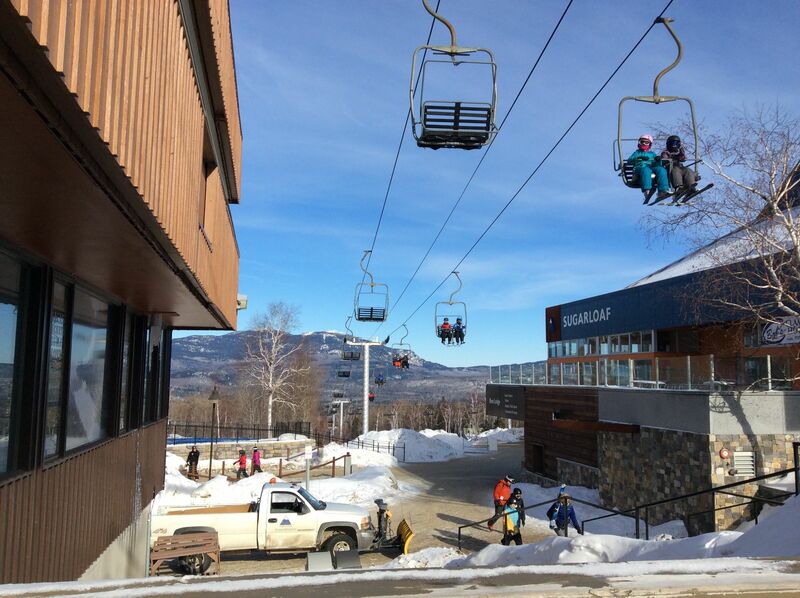 Here are the 2014/2015 single day lift ticket prices for Sugarloaf: Adult ($84), Teen ($69), Child/Senior ($59). So you can see that Kids’ Week is a great deal on lift tickets alone. 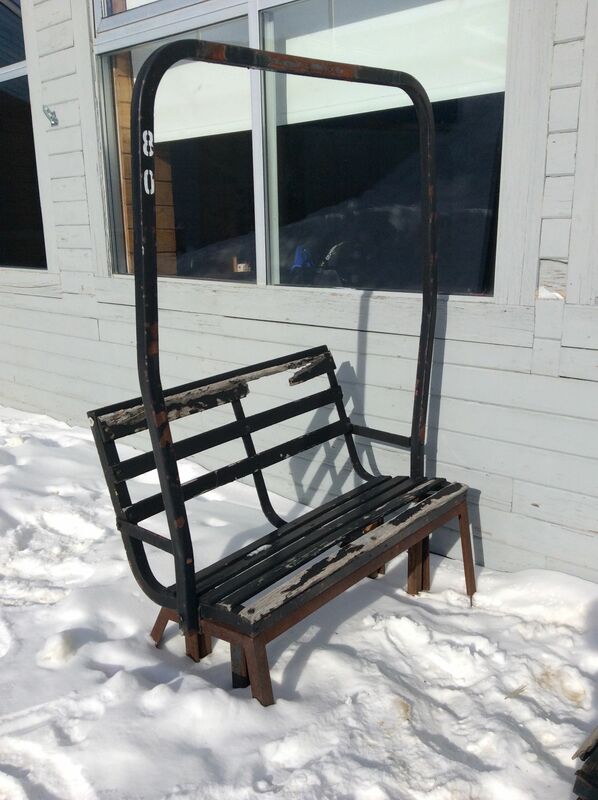 Old lift chair converted to a bench. I have wanted one of these since my first trip to Sugarloaf but even I won’t try to stick this in our van. 2 bedroom/2 bathroom condo on two floors. Upstairs room with two double beds and a double pull-out couch and bathroom. Main floor contains a full kitchen with dishwasher, a living room with gas fireplace and a double murphy bed, a bathroom and an master alcove with a queen-sized bed. The condo is a ski-in/ski-out unit right on the hill that could sleep 10 people. 2x adult 5-day lift tickets for SWMBO and Firstborn. Fahbio decided not to ski this year. Our condo. 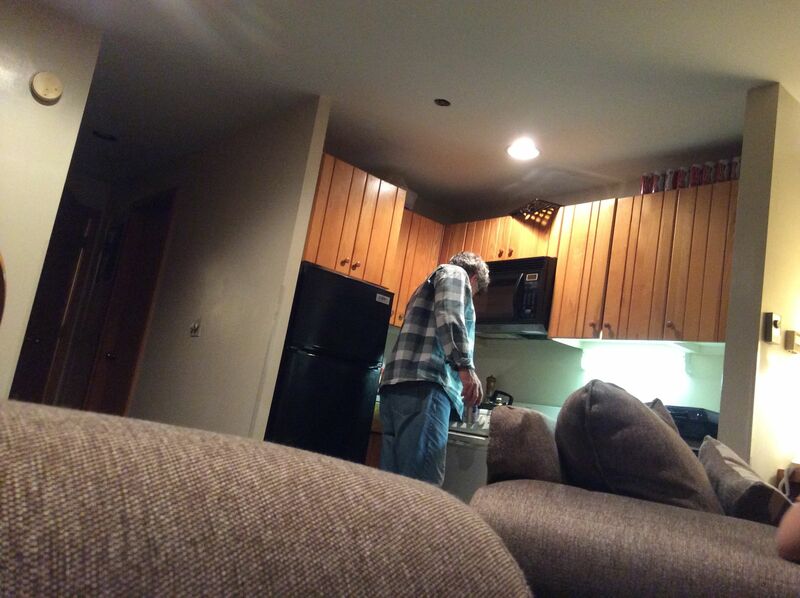 Fahbio keeps a pot of water simmering on the stove to counter the dryness in the air. Firstborn brought her own snowboard and I borrowed skis from a friend so we saved money on adult rentals. Fahbio was still able to get a bit of skiing in with Lastborn because you don’t need a ticket on the lifts that go up to the Base Lodge. A bunny hill with a view. You don’t need a ticket to use the lift on the left. What if there’s no snow? What if there is a blizzard? What if it is so cold you think your feet will fall off? Not ideal but Sugarloaf is still a wonderful place. The instructors are amazing and will have your kids out all day no matter what. The lifts close at 4 pm (no night skiing). Your kids will arrive back at the condo hungry, tired and happy. Because there is no night skiing, you will spend the evening together. Or maybe the kids will have arranged to meet friends from ski school at the pool. Little ones will get pulled up the hill by the Moose Caboose. They may be small, they may be beginners, but they will spend all day outside and not one single one will be crying. 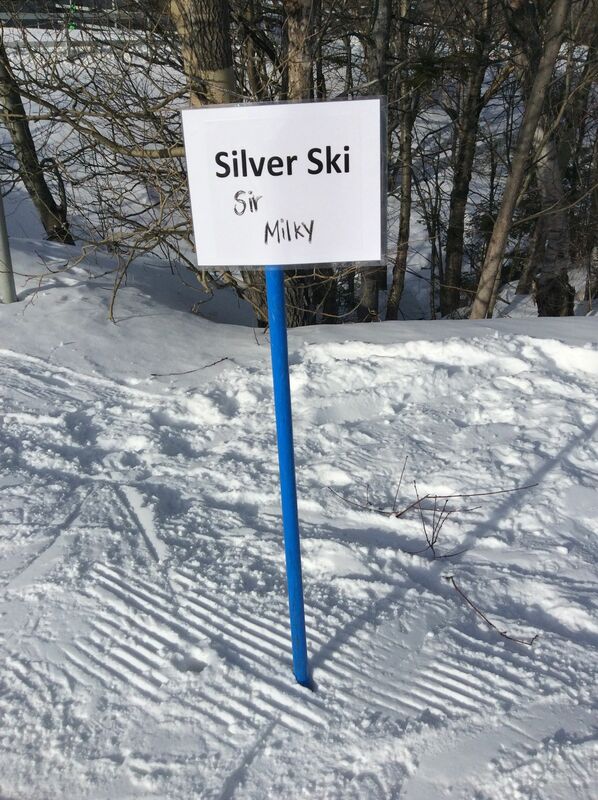 If your child is an advanced skier, Sir Milky will have him/her skiing the glades. Because the kids are all sleeping upstairs with their own bathroom and t.v., you will have evenings when they are all partying up there while you snuggle up on the couch for some highly trashy Foodnetwork TV. Sugarloaf bathroom – note the ski boots! What if you don’t ski? If no one in your family skis, it is unlikely that you are considering a ski vacation but why not? Shake it up a little! There is a family with 10 kids (!) from Georgia that comes to Kids’ Week every year, driving 24 hours to get there. 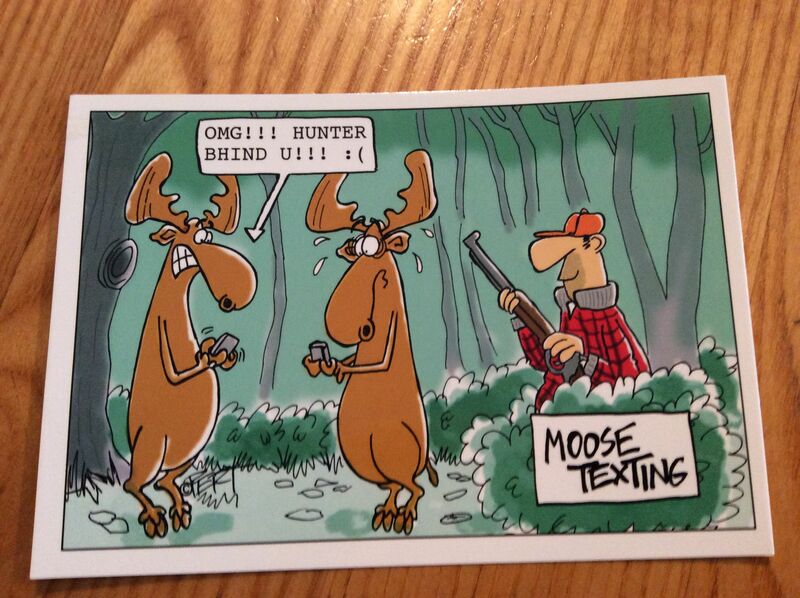 The more likely scenario is that your kids ski but you do not. If this is the case, get set for extreme relaxation. Your kids will be getting fresh air from 9:30-3 pm while you knit some hats, make a 1000 piece puzzle, read Wild by Cheryl Strayed or any other thing you wish. 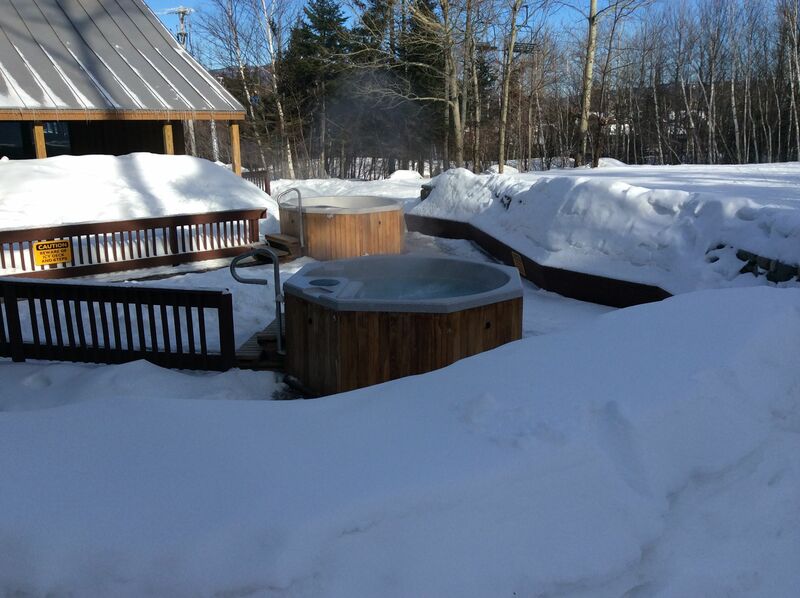 Did someone say outdoor hot tub? When was the last time you got to do any of that? If you do ski, you will also be getting exercise and fresh air. Or compromise and take your adult lesson for 1/2 of the day and chillax for the rest of it. 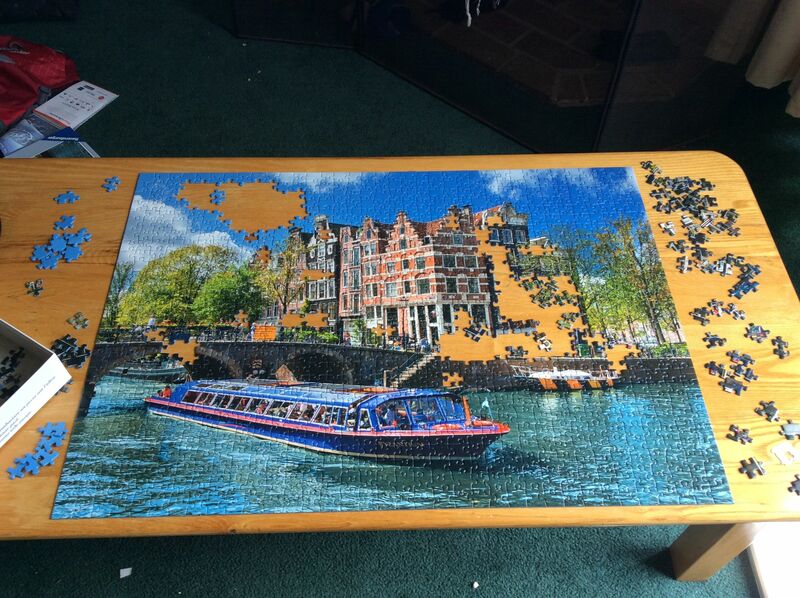 A nice place to relax after a ski lesson (or after a hard puzzling session). Outstanding teachers who have a flair for teaching and make the children feel at ease. Same is true for adult lessons. Related to point above, lessons at all levels and for all ages. Onlyboy as one of the oldest kids snowboarding at ski school had as much fun as Lastborn, one of the youngest beginner skiers. 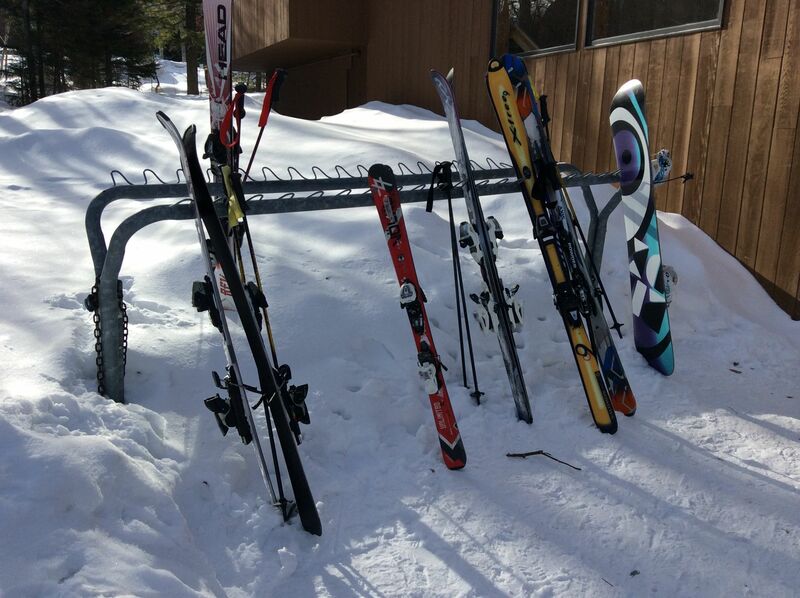 Our condo comes with a ski locker but everyone just leaves their skis outside for the duration of the holiday. 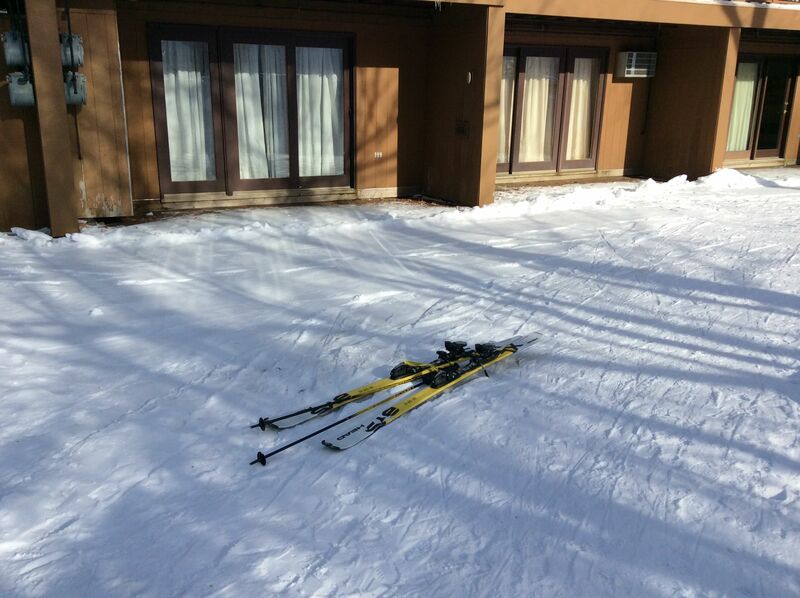 Some people leave their skis right in the middle of the path. 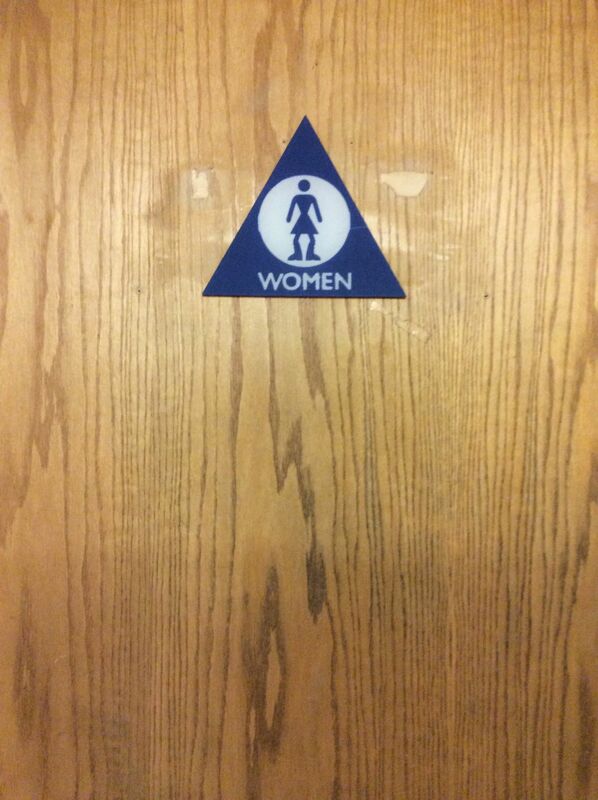 Surprisingly, not Onlyboy. 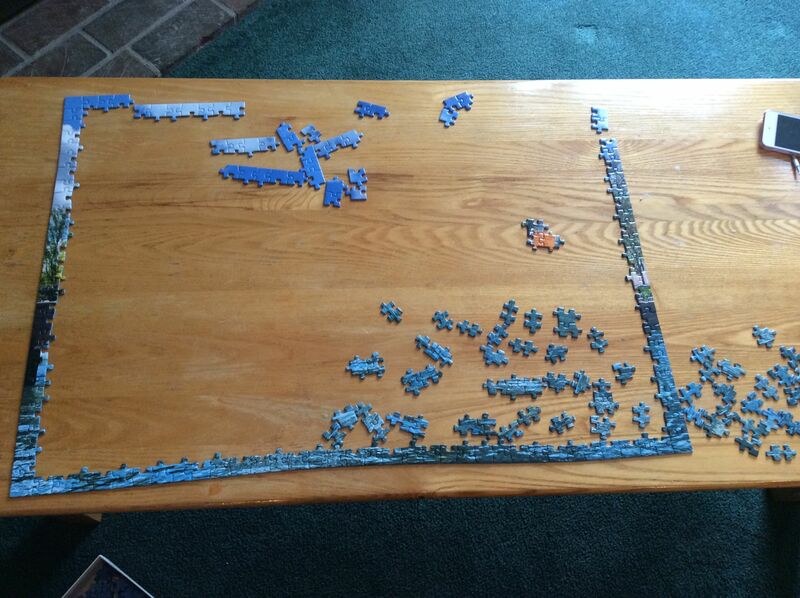 I appreciate that you put in the costs because it really helps when comparing vacation ideas. The quote is one I will keep for sure.